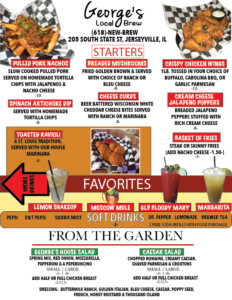 Our vision, is to provide great food, drinks, entertainment, customer service, provide a platform for performers to showcase their talents, and provide the community and our customers with a positive social setting that will encourage the intermingling and growth of our community! 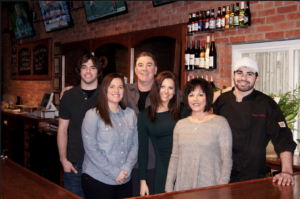 The owners of George’s Local Brew, Chris and Brenda Lorton, have gathered eighteen years worth of experience in the restaurant and bar business in Jerseyville, as they were the former owners of Lorton’s Hotel, Restaurant, & Bar, which was prominent during the 90’s. Since then, Chris and Brenda have continued to successfully conduct business in the Jerseyville area as the owners of G.C Lorton Inc. Construction, Lorton Properties, and the Lorton Home Center. Throughout the last 18 years, G.C. Lorton, Inc. Construction has covered a wide range of construction projects, but tend to specialize in home restoration and remodeling. Lorton Properties has been operating for the last 12 years and consists of over 50 rental units. The Lorton Home Center, which offers a variety of home improvement options, opened up in May of 2015. George’s Local Brew has been designed similar to a restaurant or bar that you might find in Nashville, Tennessee. 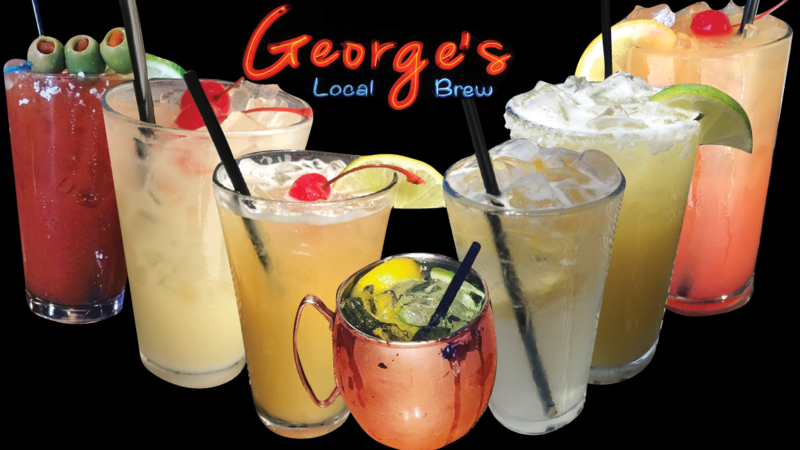 George’s Local Brew is a family restaurant, it is likely that at least one member of the family (Chris, Brenda, Jenna, Kadi, George or Michael) is behind the bar, serving, or working back in the kitchen, at any given time. The name was decided upon because “George” happens to be a family name on both, Chris and Brenda’s side of the family. George’s Local Brew is designed for entertainment, with six flat screen televisions to cover live sports and current events, George’s Game Room is equipped with slot machines, a state of the art sound and lighting system, along with a small stage for live performers. Talented performers are always welcome at George’s local Brew, our user-friendly sound system allows for performers to connect their instruments easily, complete with a 2500 song library and a monitor to display the song lyrics. With our stage, we hope to emulate other stages in Nashville by providing talented performers with an opportunity to develop, improve upon their craft, and possible become discovered. 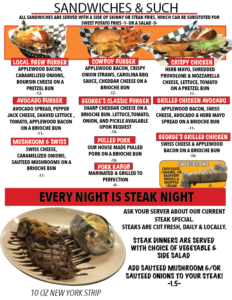 Our food and drink menu is reasonably priced and fairly simple, but that is because we are only offering our best products. 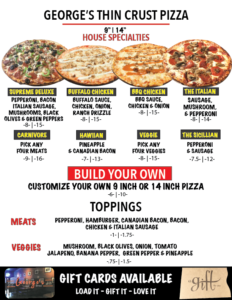 Our food menu consists of simple, but tasteful options such as burgers, chicken sandwiches, pizza, wings, soup, and salad, just to name a few. 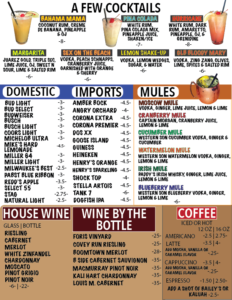 Our drink menu will cover a wide variety including liquor, craft beer, wine, and will feature locally brewed beer.